Who would you guess just won this recent Wimbledon tennis match? If this were in a corporate setting, who would you say is the CEO? If these two were political office holders, who would hold the higher ranking office? It probably doesn't surprise you that the answer would be the same for all three question. 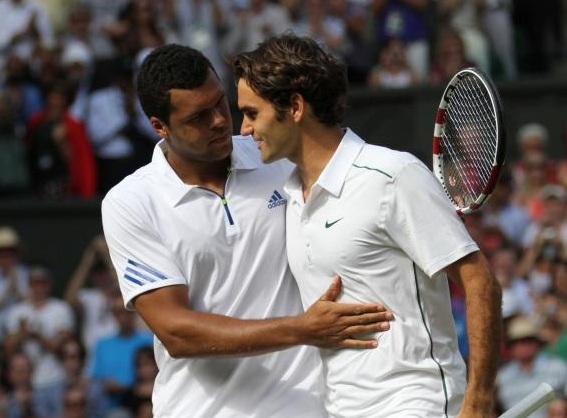 Here, Jo-Wilfried Tsonga just defeated Roger Federer in the quarter-finals at the 2011 Wimbledon Tournament. His hands-on gesture here is a dominance display allowed only for the winner, boss or senior in the pecking-order.